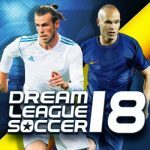 Pelé: Soccer Legend is a new game from Cosi Productions, and this is the one and only, official soccer game endorsed by the legendary Pelé himself. 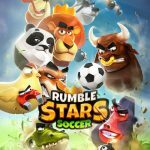 This Android and iOS game is described as a title with streamlined gesture controls, as you “work your way from the backstreets of Brazil all the way up to become world champion” in the game’s career mode. 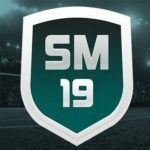 There are more than 150 levels in the game, over a thousand goals and challenges as you move up from the backstreets to the big leagues, options to customize your player’s hair, uniforms, and more, and online multiplayer mode, where you can test your soccer (or football) skills against other players from all over the globe. If you’ve played other soccer games for mobile influenced by Flick Kick, then you probably know what to do here. 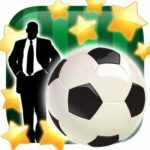 If you don’t, or if you’re simply new to this game and need help getting off to a good start, we recommend you to check out our exclusive list of Pelé: Soccer Legend tips and tricks that can help take you from being a nobody in the soccer world, to becoming a bona fide superstar. It would seem that Pelé: Soccer Legend is very particular about where you swipe on your device’s screen. Proper positioning is paramount, so you want to focus carefully and make the necessary adjustments. For example, you may want to shift your thumb or your finger elsewhere to adjust with the ball’s changing position, and swipe through accordingly, if you’re in a situation where the keeper cleanly stops all your shots. It’s quite appropriate that the game offers you various ways for you to throw off defenders and, of course, the goalkeeper. If you do a regular swipe, the ball will travel in whatever direction you were swiping. You can also swipe in a C- or reverse-C pattern, which would allow you to curve the ball and fire a shot around defenders. This technique is best-used if you’ve got a good number of defenders closing in on you, making a straight shot highly impractical. On the bottom left of your screen, you’ll see an icon that says “Free Kick.” But that doesn’t mean an actual free kick in soccer parlance. Instead, it means a chance for you to watch an ad video, after which you can win hearts, gold, or cash as a reward for watching. You’re allowed one video per five minutes, so watch as many videos as possible so you can stockpile those resources in the game. Player vs. player, or PvP mode, is arguably the best way for players to enjoy this game, even if Cosi keeps talking about career mode in the game description. After all, what’s more fun than testing your skills against your friends, or even against total strangers thousands of miles away in another country? Yes, we know you may be excited about PvP, but before you take on other players, you might want to play some career mode levels to get your feet wet, and earn more coins. The last thing you want is to sport a poor winning percentage in PvP. You’ll score more points in this game if your kicks are closer to the edge of the net. More difficult kicks, in other words, earn you more points than easy, straightforward ones, though the thing here is that applies whether you’re facing a stifling or a porous defense. In other words, it’s all about the trick shot if you’re trying to score more points in the game. Single player mode is where you’re fully encouraged to hit those trick shots, those fancy strikes that Pelé made look so effortless back in the day. But if you’re competing against a human player, you should rein in your tendencies to play fancy. Instead, play it as simple as possible because your best bet here is to go for the multiplier; keep on scoring to keep the multiplier going, and wait until your opponent makes a mistake so you can take advantage. Better to look boring and still win, rather than play all flashy and fancy but lose a lot of matches. At some point in the game, you’ll find yourself being content with one-star levels; these levels may be so challenging that you’ll just be glad that you finished them. But you will need a certain amount of stars to unlock additional levels at specific points. That means you’ll need to go back to the levels where you scored just one or two stars, and try once again in hopes of earning a perfect three stars. And this wraps up our list of tips and tricks for Pelé: Soccer Legend. If you happen to know other hints for the game, don’t hesitate to share them with us in the comment section below! This game makes sure you don’t pass until your stars are almost out. The goalkeeper misses randomly but when you’re doing good the goalkeeper is a superstar. I wish it wouldn’t cheat to make you lose, and yes I’ve beat the career mode but it’s hilarious how obvious it is that it makes you buy things to pass I just wish it would be real and fair.